BURNABY, B.C. 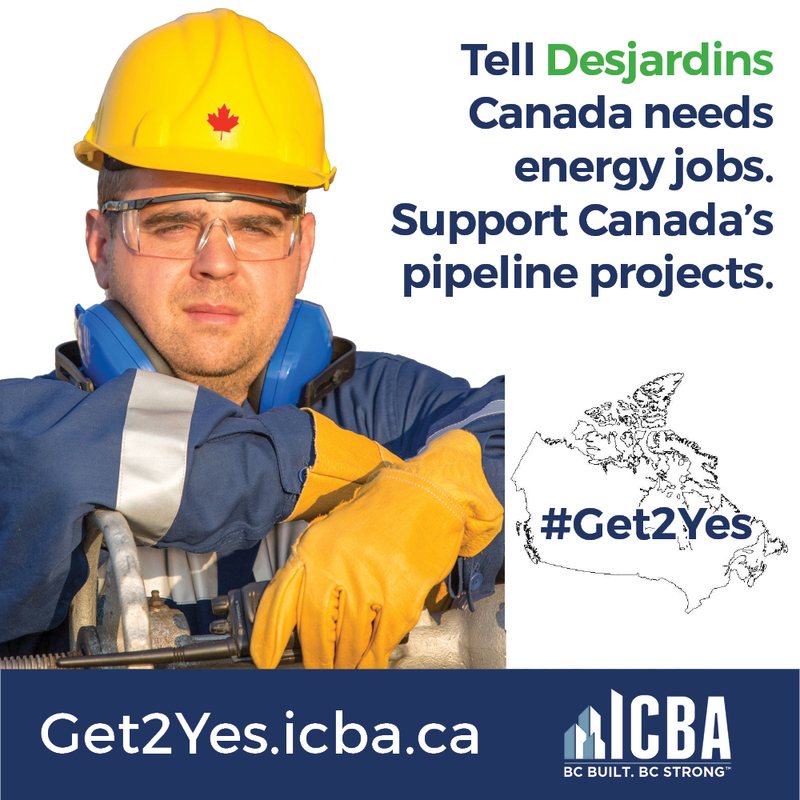 – The Independent Contractors and Businesses Association (ICBA) applauded Desjardins, Canada’s largest credit union federation, for its announcement that it will continue to fund pipeline and other energy projects. Earlier this year, Desjardins caved into pressure from environmental activists and announced it would stop funding pipeline projects. ICBA was Canada’s first and loudest voice opposing Desjardins’ original decision. 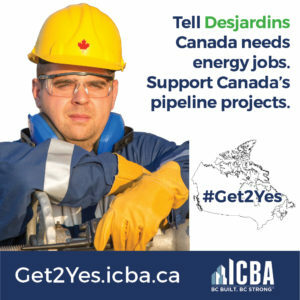 ICBA president Chris Gardner penned two nationally-published op-eds, and ICBA supporters used its #Get2Yes web platform to send nearly a thousand e-mails to Desjardins CEO Guy Cormier asking him to reconsider. ICBA also used social media, including Facebook videos and posts, to spread the word. Most importantly, ICBA was putting its money where its mouth is and committed to moving its insurance clients away from Desjardins to companies which support responsible resource development and Canadian energy companies. Thanks to ICBA and the people at Desjardins, common sense prevailed. Too bad our gov’ts have so little common sense and no courage to stand up for what’s right. They are letting a small number of radical (and sometimes violent) environmental bullies dictate policy.